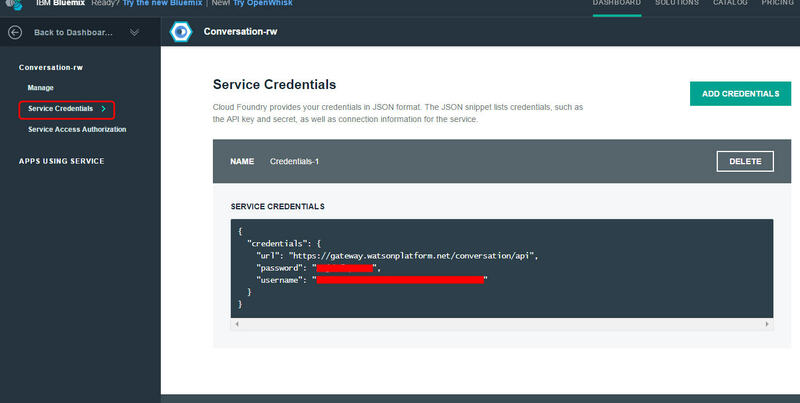 This topic provides basic instructions for obtaining credentials for Watson services and provides relevant links for each service and the Watson Developer Cloud SDKs. Depending on the service, you will either need to use Basic Authentication with a username and password or pass an apikey as a parameter in each request. Some services also support token authentication. To authenticate to Watson services, you need credentials for each service that you plan to use. Depending on the service, you will need to pass a username and password with Basic Authentication, or you will need to pass an API key in a parameter for each request you make. 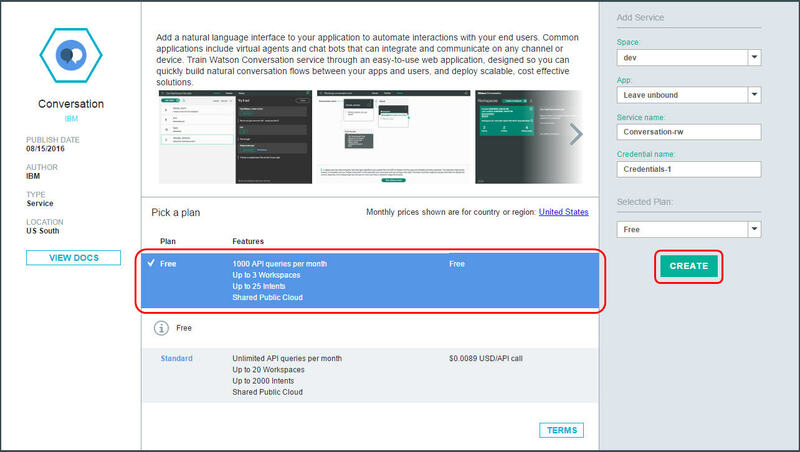 Sign up for Bluemix and log in. Click the "Service Credentials" button from your service dashboard page to view your credentials. If you aren't taken to the service dashboard automatically, go to your Bluemix dashboard and click on your desired service instance. Save the following code to a file (we'll call it app.js). Make sure you replace API_KEY with your API key.